This week, 11th February to 19th February, is student volunteering week. At African Initiatives, we are supported by a dedicated team of volunteers (both student and professional) who assist our staff with fundraising, communications and programmes tasks, ranging from drafting social media content, running events and like me, writing blogs! We want to take this opportunity to thank our lovely volunteers for their involvement, and encourage those who are interested in international development to get in touch and volunteer! Student volunteering week is organised by the Student Volunteering Network, a network for anyone in further or higher education and is designed to support student volunteering. This year marks the 18th anniversary recognising student volunteering week, which is designed to recognise and celebrate time given. Across higher education institutions in the UK, including local to us at Bath Spa University, events are taking place to celebrate! Student volunteering week promotes the wide range of volunteering benefits. For students, volunteering can improve well-being; it is a welcome break from studies and can provide some time out from the stress of university. For the individual, volunteering also has the dual benefit of developing skills to improve employability, as well as providing an opportunity to discover your own interests and gain valuable skills. The work done by volunteers contributes to the wider community, and for African Initiatives, international communities in northern Tanzania! As I have mentioned, both African Initiatives and its volunteers benefit from collaborating. As a student volunteer myself, I am a keen advocate of student volunteering. 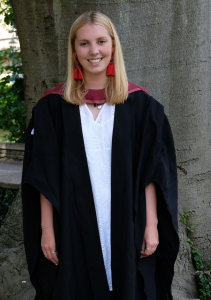 I am currently part way through my Master’s degree at the University of Bath, studying International Development, Social Justice and Sustainability. My volunteering with African Initiatives is a placement for my course, which means it contributes to my course credits. My role as a volunteer Communications Officer is mainly focussed around social media as well as writing blogs. For me, volunteering with African Initiatives is a great way to learn the practical skills needed in different areas of international development work, which are essential along with an academic understanding. I particularly enjoy keeping our followers up to date on social media with our project information, as I believe transparency is increasingly important in development work. 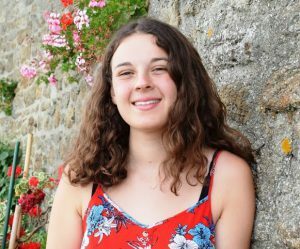 Jessica volunteers once a week assisting our Fundraising and Communications Officer Holly Burchett and our Programmes Manager Marta Medusa Olaiya, alongside her undergraduate studies at the University of Bath. Jessica told me she particularly enjoys the varied tasks she performs, which range from creating graphs and analysing data to writing blogs. Jessica’s contribution supports African Initiatives’ vision for women and girls in marginalised African communities to enjoy equal status and be empowered to achieve their potential. Jessica and Charlotte are among other African Initiatives’ volunteers who are involved in many areas of the charity including communications, individual giving, events, Trusts and Foundations and programmes. We are always keen to have more volunteers involved, so if you are interested in any of these areas please don’t hesitate to get in touch! We welcome both student volunteers and volunteers from all areas. Contact us on aiadmin@african-initiatives.org.uk with any enquiries and a member of the team will be in touch!